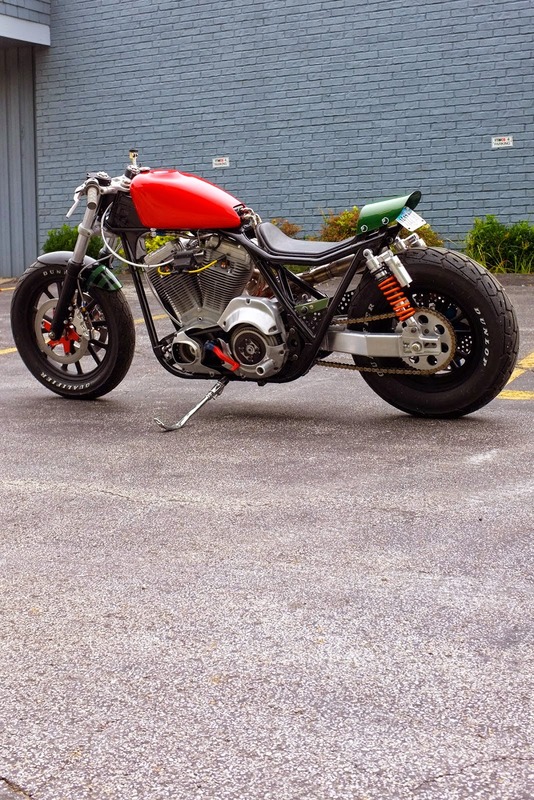 Jeff Wright with his COC Choppers is probably one of the most influential and ground breaking custom builders from the USA today. I love how he's mixing all genres, his killer color use, how he rides his bikes all over the globe. Lot's of people copy his styles, most fail. When he's finished with a bike there's a big chance he will radically change it after a few months, just because he can. Currently he's working on a KZ chopper for the Born Free 7. He's also working on a 2000 V11 Moto Guzzi and a Suzuki 1986 GSXR 750. I can sell my left arm! 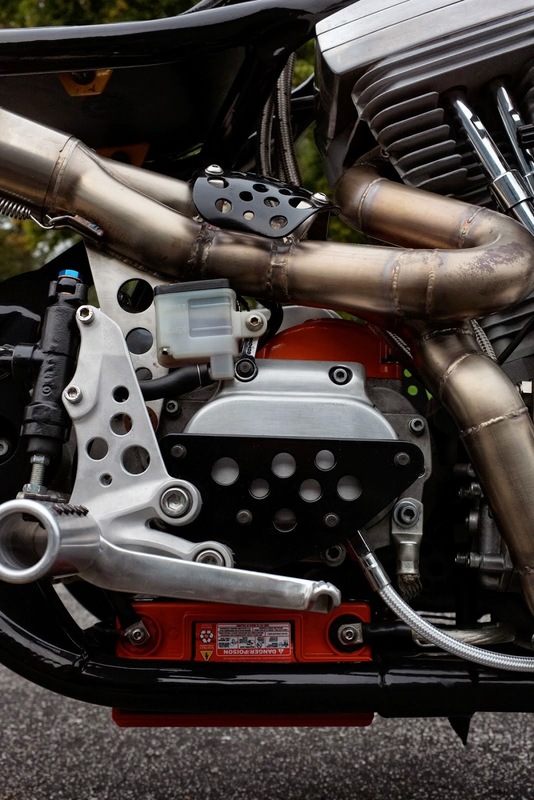 Oil Stained Brain is a celebration of the art form of custom motorcycle building and the lifestyle that surrounds it. More art exhibit that bike show Oil Stained Brain has a strong focus on forming connections between builders and showing the public just how creative and unique these rolling works of art can be. 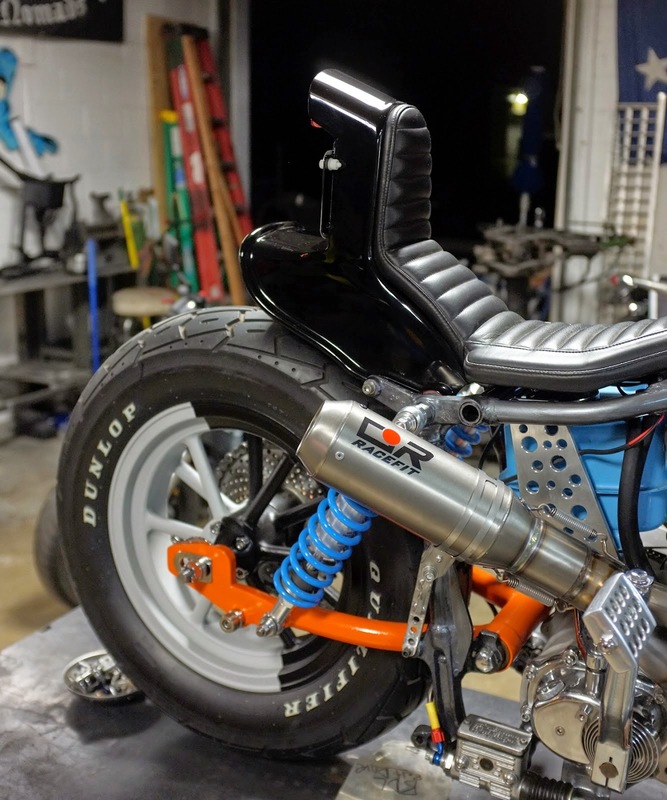 For 2014 an all new collection of 30 custom built motorcycles will go on display at the Kustom Kommune communal workshop in Collingwood, Melbourne. From 10-am till 6pm on Nov 1st & 2nd come and experience everything that’s awesome about Australia’s custom moto community. On the Saturday evening the official OSB launch party will take place with limited tickets going on sale soon!